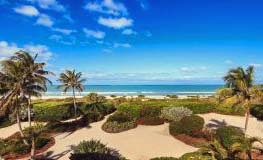 Below are a couple of news items from the week, followed by the activity posted over the past week in the Sanibel and Captiva Islands Multiple Listing Service. But first a couple of photos that I snapped midweek at the Fulgur Street beach access, plus a sweet bloom also noticed on my travels this week. “A Florida bill to ease the burden of skyrocketing flood insurance costs became law on Friday when signed by Gov. Rick Scott. The Florida Legislature approved the bill, SB 542, earlier this year. 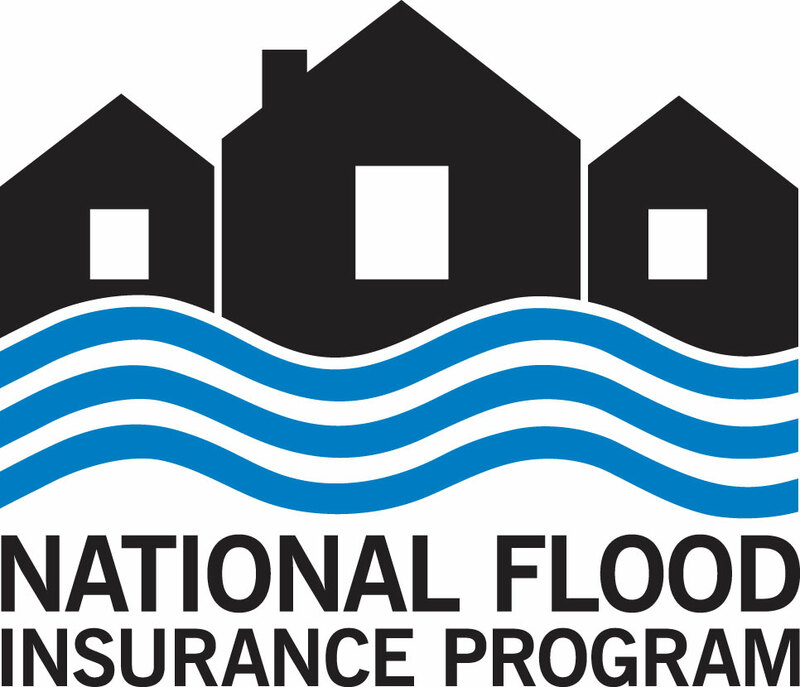 “Despite recent reforms at the federal level to slow flood insurance rate increases resulting from Biggert-Waters, legislation passed by Congress in 2012 to reform the National Florida Insurance Program (NFIP), Florida Realtors and other business groups sought an alternative to the NFIP at the state level. “The bill by Sen. Jeff Brandes (R-St. Petersburg) encourages private insurers to enter the Florida market by giving them rate-setting flexibility and reduced regulatory burdens. 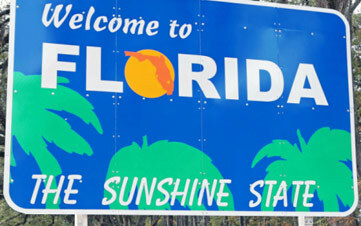 “Florida’s a big state, and possibly the best one to road trip through! 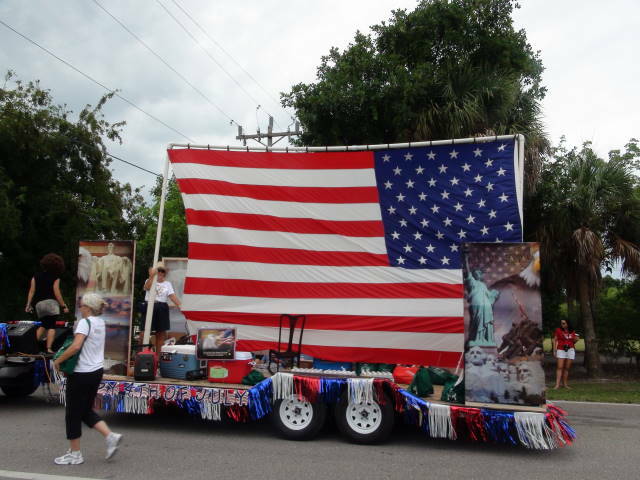 The other ten towns rounding out the list are: Tarpon Springs, Santa Rosa Beach, Delray Beach, Destin, Mount Dora, St Augustine, Fort Myers, Clearwater Beach, Apalachicola, and Amelia Island. 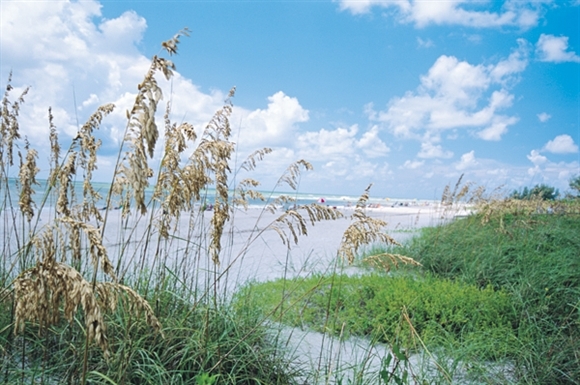 Not to forget Captiva Island, “Coastal Living” just posted their annual list of 2014’s top ten spots to live in bliss by the sea!” You may remember that Sanibel Island made this list last year, so they were not eligible for 2014. “Local folklore holds that pirate José Gaspar hid his captives on this pristine island. A gorgeous prison, indeed: The slender barrier island in the Gulf of Mexico west of Fort Myers has pale, powdery sands graced with more than 250 types of seashells. A single main road runs Captiva’s five-mile length, making much of its raw beauty best appreciated by sea kayak. (Buck Key Paddling Trail, a best-kept paddlers’ secret, winds past green herons and gators.) 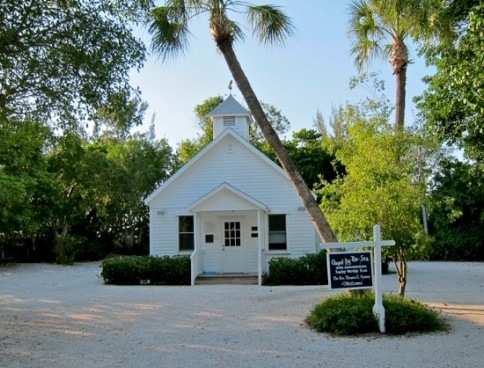 There are plenty of finds on foot, too; shoppers here love the intimacy of Captiva Village along Andy Rosse Lane, which houses not only galleries and boutiques, but also a public library, community center, and the historic beachfront Chapel By The Sea. It’s a 10-minute stroll from the Village to sweeping Alison Hagerup Beach Park (aka Captiva Beach), a great sunset post for spotting the horizon’s famous green flash. If you are one of the lucky ones on Sanibel this summer and have children with you, here are some fun things to do at the J.N. “Ding” Darling Wildlife Refuge. As reported this week in the on-line newsletter of the “Ding” Darling Wildlife Society. “As part of our summer Sea Monsters traveling exhibit from Mote Marine Laboratory in Sarasota, Florida, we have scheduled related FREE films and interactive programs through Mote. The exhibit and programs are made possible by grants from the Southwest Florida Community Foundation and a private family foundation. Tuesday, July 8. 50-minute interactive Ocean Careers program. Although much of this news is far-reaching, I found it interesting. It came from “Daily Real Estate News” last Friday. “The International Monetary Fund says that several global housing markets are overheating, even in the U.S. – which is still digging itself out of a housing bubble that popped in 2008. Most of the warnings, however, have been issued for overseas. “Economists are warning countries like China, Sweden, the United Kingdom (particularly London), and Canada that after years of rising housing prices, their housing markets may be overheating. In Sweden, housing prices have tripled over the past 10 years. In Canada, prices have been rising for years and some economists have speculated a housing crash is inevitable later this year. “IMF policy makers are paying closer attention to the global housing market. Over the past year, 33 out of 52 countries in the IMF’s Global House Price Index have posted rises in home prices, even when the economies in the countries have been slowing down. 1 new listing: Pointe Santo #E22 2/2 $749K. 3 price changes: Blind Pass #D204 3/2 now $399K, Blind Pass #E206 2/2.5 now $449.5K, Sanddollar #C101 2/2 now $810K. 1 new sale: Sundial #D408 1/1 listed for $359K. 4 closed sales: Sundial #J407 2/2 $495K, Tarpon Beach #305 2/2 $685K, Snug Harbor #121 3/2 $955K, Tamarind #A101 2/2 $1.325M. 8 price changes: 828 Rabbit Rd 2/1 now $419K, 421 Lake Murex Cir 3/2 now $499K, 4563 Brainard Bayou Rd 3/2 now $629K, 590 Lake Murex Cir 2/1.5 now $668.5K, 4648 Buck Key Rd 3/2 now $679K, 1755 Jewel Box Dr 3/2 now $699K, 1800 Woodring Rd 2/2 now $1.695M, 1266 Isabel Dr 3/3 now $1.895M. 6 new sales: 702 Donax St 2/2 listed for $449K; 620 Hideaway Ct 3/2.5 listed for $575K; 1049 S Yachtsman Dr 3/2 listed for $599,555; 2569 Coconut Dr 2/2 listed for $639K; 5313 Punta Caloosa Ct 4/3 listed for $848K; 5321 Punta Caloosa Ct 3/3 listed for $1.094M. 6 closed sales: 2050 Sunrise Cir 3/2 $525K, 1838 Long Point Ln 3/2 $639K, 1019 Lindgren Blvd 3/2 $715K, 2667 Coconut Dr 3/3 $750K, 512 Periwinkle Way 3/3 $875K, 235 Daniel Dr 3/2 $1.145M. 1 new listing: 1336 Eagle Run Dr $262.5K. 3 price changes: 9277 Belding Dr now $198.9K, 3792 Coquina Dr now $329K, 2562 Coconut Dr now $349K. 1 closed sale: 1042 Blue Heron Dr $420K. 1 new listing: Gulf Beach Villas #2004 2/2 $649K. 1 closed sale: Ventura Captiva #4B 3/3 $750K. No new listings or price changes. 1 new sale: 11547 Wightman Ln 2/2 listed for $1.375M. This representation is based, in whole, or in part, on data supplied by the Sanibel & Captiva Islands Association of Realtors® or its Multiple Listing Service. Neither the association nor its MLS guarantees or is in any way responsible for its accuracy. Best wishes to all for wonderful weather wherever you are this weekend too. This entry was posted in Captiva real estate, Florida property, Florida real estate, Real estate, Sanibel Island, Sanibel real estate, SanibelSusan, SanibelSusan's Blog and tagged Best Florida Towns, Captiva, Florida flood insurance, Real estate, Sanibel, SanibelSusan Realty by SanibelSusan. Bookmark the permalink.